I’ve just returned from Kenya last night and have had an idea for a scenario weekender. Basically we were talking to a guy who helps run the “Mara Elephant Project” (a charity who try to prevent the poaching of elephants and rhinos but I won’t go into details of it in this thread.) about various things and then my friend said “Nick you do aisoft, you could like hold a charity game to raise money” and that got me thinking about a African themed game with a possible ability to hold it as a charity event for the Mara Elephant Project. Basically I was thinking on a game based around a revolution in a sub-Saharan African nation using films like Blood Diamond, Tears of the Sun, Machinegun Preacher etc etc as inspiration. So I thought to start this to see what people’s opinions would be of it and any suggestions and how many would like to try a game like this. And if enough people show interest I’d be happy to work with the people who run the site to set it up and organise etc. if a site wanted to run it! The background for this would be that the govt. forces are currently controlling the main areas with the rebels looking to overthrow them and take control (as rebels tend to do). My original idea with the mercenaries was to have them as another almost free radical force who could help either side or try to take control themselves but I’m not sure how to integrate this with the game to make it work well. Looking to base the game around 2000 so modern enough its not too difficult but not too much that its another tacti-cool ISAF vs insurgent game. The game play is part where I’m not entirely sure. Originally I was thinking having each faction their own HQ at different ends of the playing area which would also being their spawn point. The govt and rebels would be of similar size forces with the mercs being significantly smaller but with other perks to balance it out. At the start of the game it would be good having the govt controlling all the main areas (main areas can act as spawns when not under attack) which could be designated with flags. The rebels would hen aim to try and kick out the government. The mercs would also be there to try and add another element to try and stop it being just an attack and defend game but I’m not sure how best to fit them in. Another idea would be to have side missions that crop up, like diamonds have been found at X, and the team who control it for X number of minutes get a bonus of some sort. Any suggestions on this area would be brilliant. So basically any opinions etc would be great! Get the marshals to wear UN Blue flak vests and berets/helmets etc for ultra-realism, likewise, any photographers etc should also be sporting UN colours. Sounds good, how much would it cost to hire Africa? Now there's a good site to play at. Just buy the whole of Grimsby. It's not as warm but it's just as desolate. 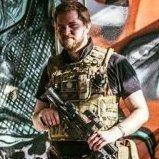 It's something I'm trying to suggest to more and more people, if anything airsoft is a game where massive illusion is important. When we're in the field, the big kid in us is just playing soldier, we want it real, this will help and is still pretty much guaranteed to stand out! Nick where would you want this to be held? And would there be lions? I'm willing to dress up as a lion for this if needs be. Bust out some animal print onesies. I like it. That UN idea is brilliant. All sites should do that, wouldn't be that hard either, a couple of helmets with bright blue covers and some bright blue t shirts or something if done on the cheap. You want a large area, for cheap hire, which is hot. how about SF in the mix to or instead of the mercenaries? I think that goes against the entire idea put forward by Nick. But aside from that I'd like to be a part of it if it ever happens as is close enough. Basically I wouldn't want this to be another SF vs Insurgents game with everyone in their tacti-cool multicam set-ups. Also with Mercs the kit is far more open to peoples preference and so would also be more inclusive. Another reason would be SF wouldn't fit with the plot.. which country would they be from? why would they be there? why would their country want them to be their? whats their aims? etc etc would all cause massive plot difficulties. Whereas mercs could be there for any reason with no set aim and there were also mercs in Africa during this time to secure diamonds, oil and protect foreign nationals etc so makes more sense. Have you seen an African armies weapons? Basically the Mercs would be from somewhere like South Africa or a western country so would have access to better weapons whereas the government get what they're sold by other countries, namely what those countries don't want anymore. Even what I saw of the Kenyan army the best weapons they've got is a G3 which by the looks of them were very old! I'm liking the sounds of this so far, lets hope you can get it up and running! Just need at site whos willing to put it on! Try Gunman Airsoft Midlands/The Grange. Their site would lend itself very well to this sort of thing. They're also pretty close to Birmingham which has excellent transport links.